In a pan take 1tbs ghee and fry cashew nut, raisin, almond separately and keep it aside. Fry Carrot with 1tbs ghee until it becomes tender, keep mixing in between. 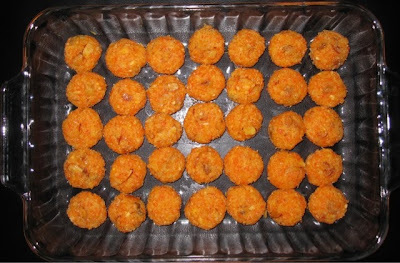 when carrot becomes tender add coconut, sugar. Mix khoya / milk powder in milk and keep it aside. When sugars melts completely add khoya / milk powder mix well. keep mixing until water evaporates completely then andd nuts, raising and elaichi mix nicely. 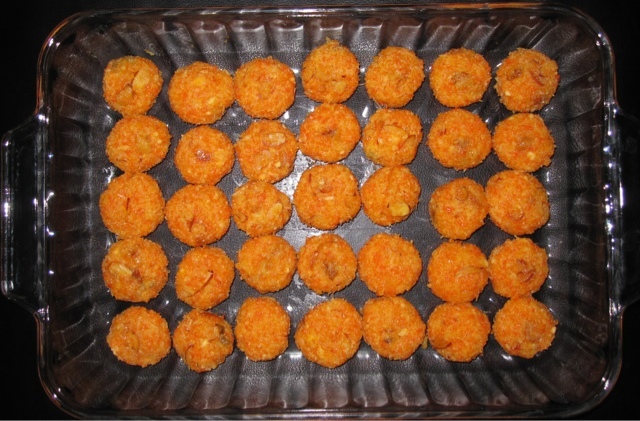 when it gets cool make laddu.